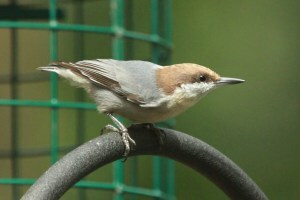 The Brown-headed Nuthatch is a non-migratory species identified as declining in Georgia by authorities including the Georgia Department of Natural Resources and National Audubon Society. Their preferred habitat of pine woodlands has been disappearing due to urbanization and deforestation. The Audubon Climate Report further adds that the Brown-headed Nuthatch’s current preferred breeding habitat will essentially disappear under current climate trajectories. Install the nest boxes in your yard using our easy step-by-step instructions. This printable information sheet has facts and all you need to know to create a home for the Brown-headed Nuthatch. Register your nest box with NestWatch and monitor the activity throughout the year. This is key to understanding how successful the nest boxes are in supporting the birds.